Computers are essential to all industries and businesses across the board. With electronic records and databases, companies rely on IT management to provide tech support, ensure network security, and implement updates. With important information on the line, businesses rely on trained individuals who are confident in their skills. 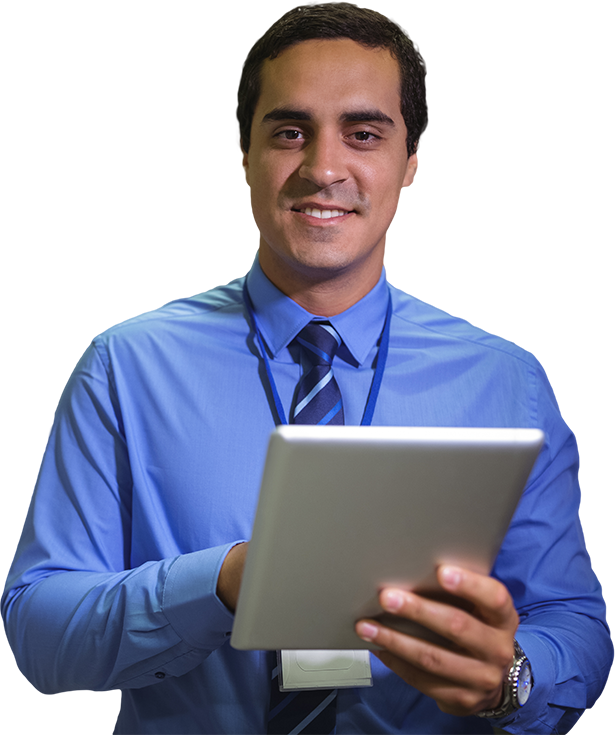 Bryan University is the right choice for you to earn your information technology diploma or degree, or online information technology degree. It’s simple—with hands-on training from knowledgeable trainers and practical experience from our programs, you’ll graduate confident in your skills and prepared to start a new career. Regardless of business setting – large corporation, small business, government agency, health care facility or educational institution – individuals with information technology knowledge keep these organizations operating effectively, efficiently, securely, and competitively. Information technology training at Bryan University can offer you the skills and knowledge needed prepare for this vital business role. Computer network administrators keep any business running smoothly. They design fast, efficient networks, use equipment to solve problems, and keep businesses technology up-to-date and running smoothly. Technology in business is evolving constantly, and now is a great time to gain the skills you need to pursue a career in this thriving industry. With a Computer Networking Specialist Diploma or Associate of Applied Science degree in Computer Information Systems—Networking degree from Bryan University, you’ll learn the ins and outs of network systems and perform essential maintenance to ensure businesses stay connected and secure! Information technology is constantly improving and plays an important role in nearly every aspect of our lives. It’s important to our social lives, our homes, our transportation, our work—it’s a part of everything. And when it comes to business security, it’s absolutely essential. Bryan University is the best choice for you to earn your Computer Networking Specialist diploma online or on campus. You will take on computer networking specialist roles in a variety of settings, including schools, healthcare facilities, government agencies, corporations, and small businesses. Bryan University’s Computer Networking Specialist diploma can provide you with the skills necessary to access a wide range of career opportunities. Students who graduate with Associate of Applied Science degree in Computer Information Systems—Networking from Bryan University are prepared to work in many different entry-level positions. According to O*NET, graduates of this program may pursue careers such as computer network support specialist and information security analyst; and some of these opportunities are expected to grow rapidly in the next several years, have large numbers of job openings, or are among those occupations that are new or emerging. Ready to turn your tech-savvy skills into a career in information technology? The future is digital, and if you are passionate about being in the heart of information technology, then now is a great time to start your training online or on campus with the Computer Networking Specialist Diploma or Associate of Applied Science degree in Computer Information Systems—Networking. With our IT degree programs, you’ll graduate prepared to start a new career as a computer network support specialist or information security analyst in workplaces like schools, healthcare facilities, government agencies, corporations and small businesses. The online or on campus IT degree program at Bryan University can help you improve your computer networking specialist skills today and advance your career tomorrow.